This year, as last, we will be sailing a 26.2 statute mile Marathon around and about most of the lake attractions and amenities. I will conduct a Skippers Meeting at Spinnaker Point at 9am, just east of the Sailboat Shop. The start of the race will be at 11am in the Pleasant Harbor side of the lake, in the North Launch Bay. We will sail up and down the lake, around islands and floating bathrooms, within “care package” delivery by our local pubs, and finally finishing at the same marks as the start. There will be no penalty for leaving the course and stopping at any of the comfort stations as long as needed. There will be a minimal entry fee of $10 for each participant. All participants will be required to check in (as indicated on the course chart) as soon as safe and possible if retiring or finishing. When a participating boat finishes, I will need your finish time including seconds, boat ahead, and boat behind (if available). I will have an “official” course chart available online at www.arizonayachtclub.org on or before Wednesday, November 23 and also at 8am Saturday before the skippers meeting. I will also be able to distribute on the water for those not able to attend the skippers meeting. There will be several classes divided by racing abilities, potential, and Regatta Chairman caprice. Entry Forms will be available Online and Saturday at the lake. Entry Forms will be accepted by mail, in person at monthly membership meetings, or Saturday at the lake. 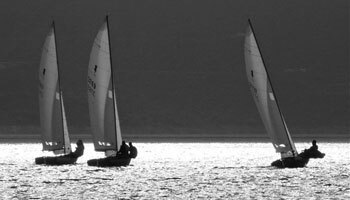 Last year was sailed by every class of boat from 14′ dinghies to 33′ racing machines. The top to boats to finish were separated by 3 seconds, and everyone was off the lake by dark. The USCG Auxiliary was on hand and we anticipate they will be available for monitoring for any emergencies. Please contact me for further info and check the website often for updates.